We wrote recently about QR codes for YouTube. It is a bookmarklet, lets you copy YouTube mobile page right to your phone. Now let us see a more generic solution - how to automatically create a mobile video site. Our new mashup YouTube mobile video lets you collect a bundle of interesting video pages and automatically create a mobile (XHTML, WAP 2.0) site for them. Could be a good source of the mobile traffic for the telecom operators as well a usefull add-on for the mobile sites developers (designers). For example, just create without any programming a link for the video data your visitors could be interested in and use this link on the own mobile portal (site). The usage is very easy. On the mashup's page (no need for the registration) just set a link for YouTube page. Than edit the title for this page and add it to the site. Mashup automatically detects a relevant mobile data and returns you a link to the mobile site. You can share this link with email, Twitter, Facebook or even copy it right to your own mobile via QR-code. And it is exactly the same link you can reuse across your own mobile sites. Technically it is an YouTube API and several of custom tags from Coldtags suite. For example - YouTube mashup taglib. An useful QR code bookmarklet. Lets you obtain QR code for the mobile version of opened YouTube video (it will create a QR code image with the URL of the mobile YouTube page for the video you are viewing). How does it work? Open any YouTube page. E.g. Magic tricks. With the opened page select YouTube QR code bookmarklet. And you will get a QR code for the mobile version. So as soon as you scan it the mobile URL will be right on your mobile. It could be a good traffic generation tools for the mobile operators - now it is very easy to transfer YouTube video to mobile. and as soon as we map this filter to our JSP files, filter will update div blocks on the fly. P.S. check out other filters in our JSOS package. There are a lot of updates. But if you will simply send any DM to Twitter user t411 and the first word in your DM is not reserved for the service you will get answer from the default service - talk robot. Of course, it is not a famous Eliza from J.Veizenbaum, but anyway it can support the conversation, so you can talk. Try to send DM to t411 (you must follow to it first, of course) and talk with the robot. Yet another messaging solution: Protected messages. Lets you create password protected text notes. The idea is transparent - use public sources for the private note distribution. E.g. publish private notes (the authorized people only will be able to read) in your public Twitter line. Or leave private replies in the blogs etc. Mashup QR-code maker is an easiest way (well – yet another attempt to present an easiest way) for the mobilizing of user-defined content. Here are two tasks at least. At the first hand we need to create a mobile view for user-defined data. And what is important of course we need to do that very simply. After that we have to present by some way this view for our mobile users. Actually, QR-code generator mashup solves these tasks exactly. As soon as the web user types (or copy-pastes) some content the relevant mobile web page will be created automatically. And a link (URL) for this fresh web page will be presented as a QR-code. So as soon as mobile user scans this code than he/she will get user-defined info (an appropriate web page) automatically. All in all it is a simplest way for the content mobilization. There is no need in programming/developing skill at all. And QR-codes solve the distribution problem. Mashup Secure messages supports password protected notes. Here is an idea: you can publish secure notes in the public stream (e.g. in your Twitter status) and only authorized people will be able to read it. And the message is self-destructable (one time readable only). Technically it is Password protected taglib from Coldtags suite. 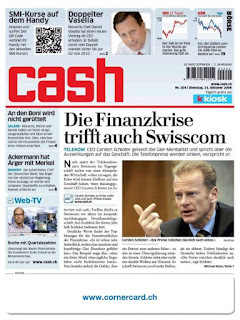 Cash - one of the leading financial newspaper in Switzerland uses QR-Codes (in the paper version!). The readers can access stock quotes and financial information by scanning such a code right from the his/her mobile. The source: QR code maker - an easiest way to mobilize your content with QR codes. And the latest version of this QR code generator lets you deal with the local files too. You can easily share your local files for the mobile users. Short note: our QR-code maker has been updated. taglib lets you define user name/password pair for this page. And login dialog will be popped up by this taglib also.